Do you hate your current carpet so much that you’re ready and willing to tear it out? Before you get in over your head, stop to consider everything that carpet removal and replacement entails. Then you might understand why it could be a good idea to leave the job to the pros. This post has been brought to you by Sears Home Services. Its facts and opinions are consistent with those of BobVila.com. 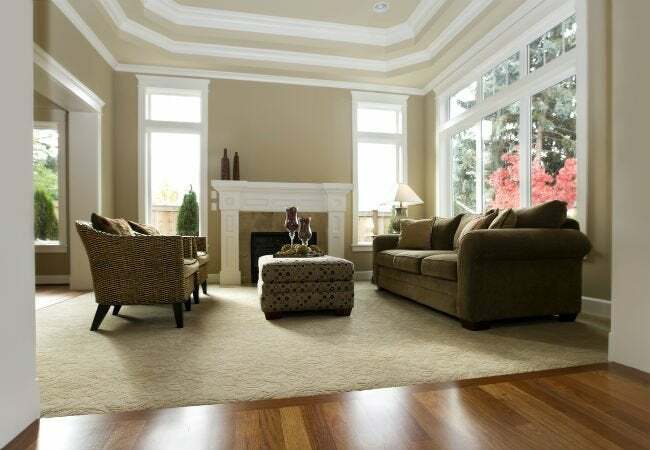 Carpeting brings wall-to-wall softness and warmth to a room, both visually and physically. But over time, its attractive pile can begin to show signs of wear from heavy traffic, stains, and even steam cleanings. Nothing dates a home more quickly than dingy or stained carpeting, so if that spilled soft drink was the last straw, you may be tempted to rip out that old carpeting right on the spot, just so you don’t have to look at it anymore. Our advice, however, is to hold off. While removing and replacing carpet may seem like a relatively simple project, it’s anything but. Dave Lincon, Director of Product Management and Business Development for Sears Home Services, assures us that carpet replacement “is not a DIY job,” citing a few challenges homeowners could run into if they tackle the task themselves. So, before you take the leap, read on to learn why you might want to let the pros handle this one. 1. 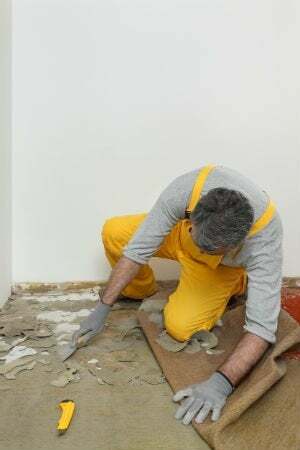 Removing carpet isn’t as simple as ripping it up and throwing it out. Carpeting is “big, heavy, and bulky,” Lincon says, “and just the act of pulling it up is more difficult than it might seem at first.” For starters, carpeting attaches to the floor along the edges of the walls via tack strips, narrow strips of wood covered in hundreds of sharp nails that have enough grip to keep carpeting taut and in place. Once you’ve managed to pry the carpet from these tacks (a job best saved for someone with a strong back), the tack strips must then be pried from the floor and the old carpet pad removed. Carpet pads are typically installed with either staples or glue; if yours used the latter, you’ll have a fair amount of scraping ahead of you to get the old glue off. After you’ve rolled up the old carpeting and removed it from the room, you’ll finally get a good look at the subfloor—and any surprise damage that the carpet may have been hiding. “Many times, we’ve seen concealed damage to the subfloor that had to be addressed prior to putting new carpeting in,” Lincon says, referring to his experience with carpet replacement jobs for Sears Home Services customers. These problems can range from a cracked or delaminated subfloor to termite damage or even rot from a hidden leak. Fortunately, Sears Home Services offers complete recarpeting—from tear-out to installation—and can handle any repairs necessary along the way. If you’ve already torn out your carpet and now find yourself in a mess, don’t worry. “Help is just a phone call away,” Lincon says. You can arrange a free in-home consultation with one of Sears Home Services’ flooring professionals by calling (800) 495-2705. 2. The right carpet is about more than color. Browsing carpet samples at your local home improvement center is a great way to get pointed in the right direction for a new look for your floor, but finding the best carpet for your lifestyle involves more than just picking a color and pile height (which refers to the length of the carpet fibers). “It’s vital that you choose not only the right carpet, but also the right pad,” Lincon stresses, but that can be a difficult task for homeowners who are not flooring experts. Oftentimes, homeowners interested in saving money with do-it-yourself installation also make the mistake of buying a high-end carpet and then shaving money off the total cost by installing a budget-friendly pad beneath it. Unfortunately, cheap padding can lose its spring, leaving your carpet unsupported and causing it to wear out more quickly. Arranging for a consultation with a Sears Home Services representative is like having a “carpet showroom in your own home,” Lincon says. Representatives arrive with a large variety of carpet and pad samples as well as guidance on the pros and cons of each. They’re committed to helping you select the correct carpet (and pad) for your budget, your style, and your needs. That last point is crucial: Truly, not everyone has the same carpeting needs. “For example, if you have dogs or cats,” Lincon says, “you’ll benefit from a carpet pad that has antimicrobial properties, so the inevitable pet messes don’t end up making your carpet smelly.” Also, different types of carpets also feel different underfoot. 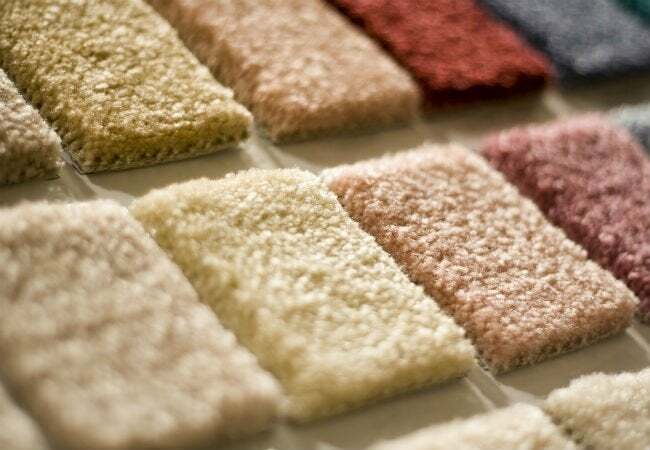 With a home consultation, you’ll know exactly how your new carpeting will look and feel before it’s installed. 3. Measuring for new carpeting is a science. “It’s not as easy as just coming up with a room’s square footage,” Lincon says. Sure, you start by figuring out the square footage, but then you need to consider how many rolls of carpeting it will take to cover that amount of space with the smallest number (or least conspicuous placement) of seams. Because carpet comes in rolls of given widths (the most common being 12 feet), large floors often require more than one piece of carpet. You might need to play around a little to see what arrangement of carpeting works best and creates the fewest seams. While it’s important to measure precisely, you’ll still need to add a little extra carpet for wiggle room. And, as you’re arranging individual pieces of carpet to cover an entire room, you’ll also need to account for the fact that carpeting is directional. All pieces must be installed in the same direction so the pile appears continuous rather than highlighting a seam. Interested in a carpet with a pattern? Then you’ll need to figure out how much additional carpeting you’ll need in order to match carpet pieces perfectly, without a break in the pattern. A little professional help can minimize the stress of number-crunching and ensure accuracy so there won’t be any surprises the day the new carpet arrives. 4. Seams between carpet pieces can cause problems if you don’t know what you’re doing. 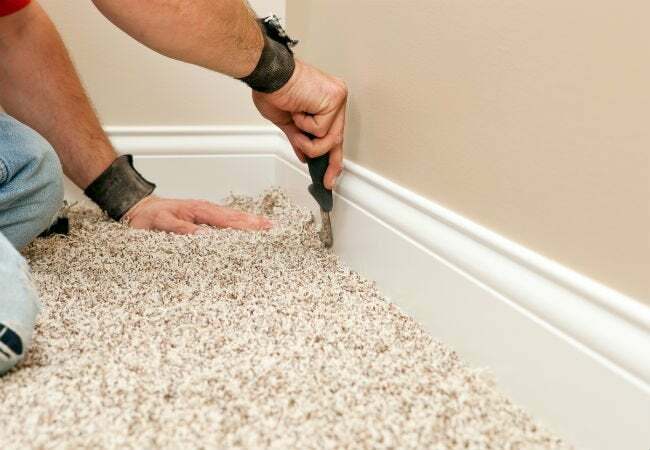 Creating unnoticeable seams may be the most difficult part of installing new carpet. “If you don’t attach pieces correctly, you’ll have an obvious seam between them,” Lincon says. Not only does an improper seam stick out, it’s also a weak area in the carpeting. Over time, poorly installed carpeting is likely to come apart at the seams, leaving you with yet another eyesore. Perfection requires expertise and a bit of special equipment that average homeowners may have a hard time getting hold of. For instance, pro carpet layers rely on a number of specialized tools, including carpet seaming knives that cut perfectly straight edges and heated carpet irons that bond adjacent carpet pieces for a flawless look. 5. Cutting a carpet to fit can be challenging. A room is rarely ever just a box with perfectly straight walls. You may have wavy walls, bay or bow windows that create awkward floor space, or built-ins that protrude into the room. Cutting carpet to fit these features requires skill. “Take a banister railing, for instance. You have to know how to cut carpet to fit around each individual baluster,” Lincon says, and do-it-yourselfers are rarely practiced enough to make the finished project look sharp. And the cutting isn’t the only tricky part of carpet installation. Carpeting must be stretched in order to achieve a taut, professional look, but most homeowners do not have access to commercial carpet stretchers. If they do luck upon one, they often don’t know how to use it to its best advantage. Good-looking carpeting—along with a reliable pad to go underneath—can be a costly investment, so don’t chance a DIY installation. To guarantee that your carpet lasts and that you get your money’s worth, call the Sears Home Services team to learn about your installation options and get a free estimate on your new carpeting today.